Mum won't let me build another Lego model. 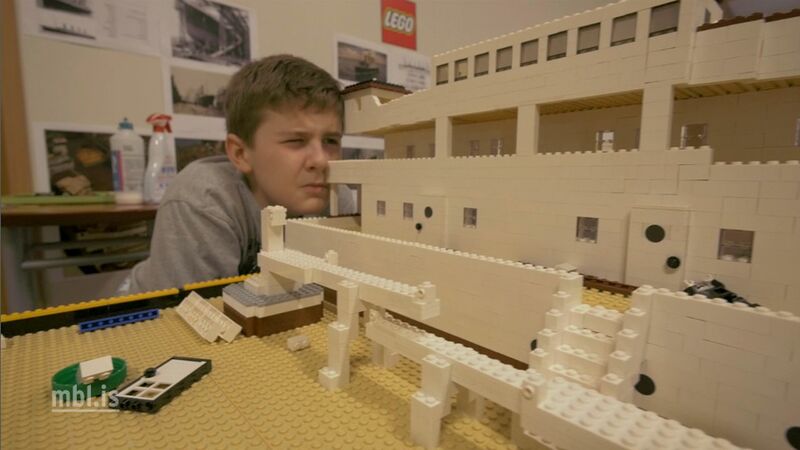 Brynjar Karl is eleven-years old and has made world news for the replica of the Titanic which he is building out of thousands of Lego cubes. Brynjar started building the model in July 2014 and it is now nearing completion. Brynjar's Titanic is now on display at the Smáralind shopping mall in Reykjavík and measures 6 metres. Mbl.is TV interviewed Brynjar Karl recently and had a look at the astounding ship. He explained laughing that his mum won't let him make another Lego model after he's completed the Titanic and we imagine that life must have revolved just a little around Lego in recent months. Visit Brynjar Karl's website HERE.